On your Nepal holiday, find spiritual bliss in the ancient temples of Kathmandu, many of them UNESCO World Heritage Sites, bathe elephants at Chitwan National Park, or challenge yourself with treks in the Himalayas. A Nepal holiday offers everything from spirituality and culture to trekking and wildlife safaris. 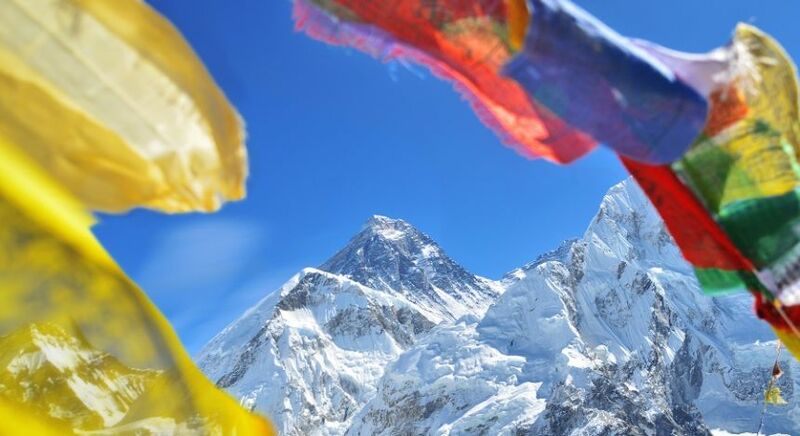 The Himalayan country is home to Mount Everest, the highest mountain in the world at 8,848 meters, and offers the Annapurna trek, voted one of the 10 best treks on the planet. It also has the densest concentration of UNESCO World Heritage Sites including Chitwan, Sagarmatha National Park, seven sites in Kathmandu Valley, and Lumbini (the birthplace of Lord Buddha). The Nepalis, who were hit by a devastating earthquake in 2015, are amazingly resilient. Their buildings may have crumbled, but their spirit is intact. Two years down the line, life is back to normal and visitors are flocking to this beautiful country tucked away in the Himalayas. Here’s the lowdown on the best places to visit in Nepal. Kathmandu, the spiritual heart of Nepal, wakes up early. Its narrow streets bustle with cycle rickshaws, pedestrians, and motorbikes jostling for space, vendors selling souvenirs crowd Durbar Square, and pigeons descend in thousands on the Pashupatinath Temple. Meander up and down Kathmandu’s backstreets, catching glimpses of art workshops tucked behind tiny doors and courtyards of local families going about their daily lives. 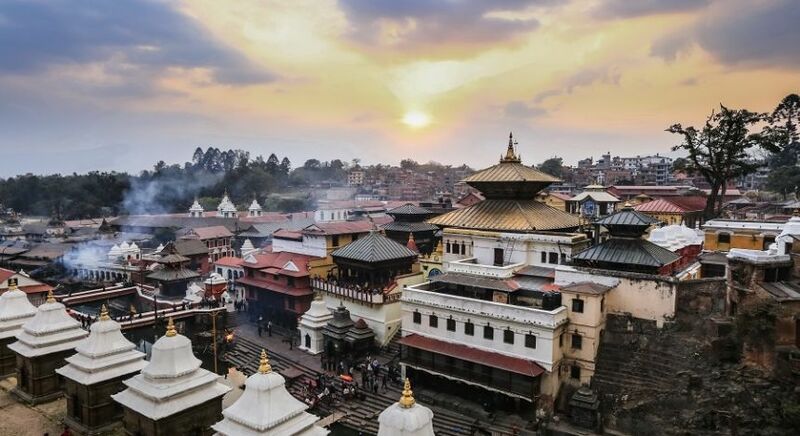 Kathmandu Valley is a World Heritage Site, which in seven sites including the Durbar Squares of Hanuman Dhoka (Kathmandu), Patan and Bhaktapur, the Buddhist stupas of Swayambhu and Boudhanath, and the Hindu temples of Pashupati and Changu Narayan. Breathe in the incense-spiced air and soak in the ancient beauty of the carved rose-brick temples around the three Durbar Squares. Meander up and down Kathmandu’s backstreets, catching glimpses of art workshops tucked behind tiny doors and courtyards of local families going about their daily lives. Another must-visit is the Pashupatinath temple on the banks of River Bagmati to the east of Kathmandu. The two-story pagoda structure with its gold-plated roof houses the sacred phallic symbol, or linga, of Shiva. At the Swayambhunath temple, don’t get unnerved by the giant pair of eyes piercing down at you from the main tower. 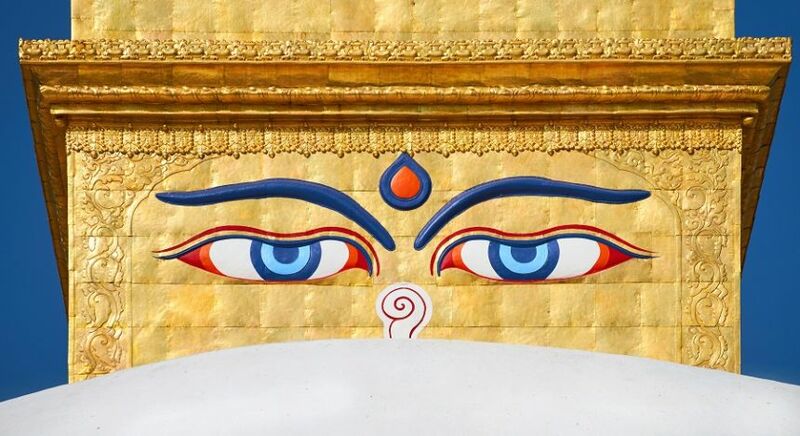 They are Wisdom Eyes, symbolizing the all-seeing ability of the Buddha. 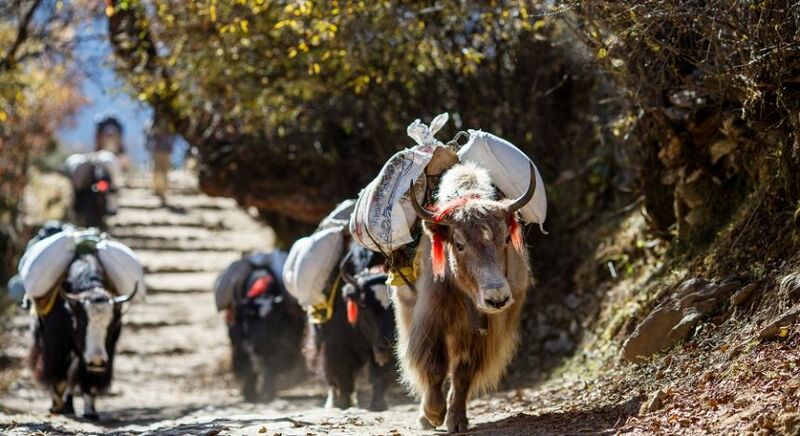 If doing the Everest Base Camp trek seems like a tall task, fret not. There are other ways to see the Everest and the rest of the Himalayas in all their snow-capped glory. You can take an hour-long 7 am flight that gets you up close and personal with the Everest. As you leave all that’s man-made far below, stunning aerial views of the Tibetan Plateau’s lakes and glaciers, along with the Himalayas, come into view. Click away to your heart’s content and step into the cockpit for a frontal view of the Everest. You’re standing in an open jeep as it trundles along mud tracks cutting across the Terai (a lowland region in southern Nepal), eyes trained for animals. 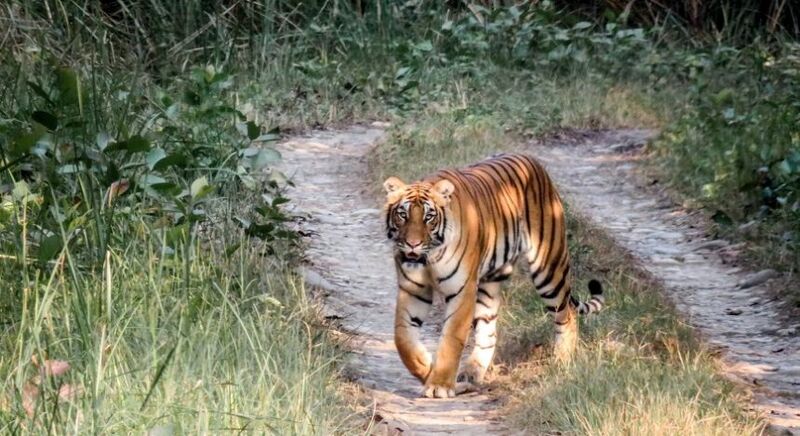 As the jeep enters a patch of Sal (a type of tree) forest and emerges on the other side onto marshy grasslands, a Royal Bengal Tiger saunters past. A few hundred meters ahead, a one-horned rhino causes ripples in the elephant grass. 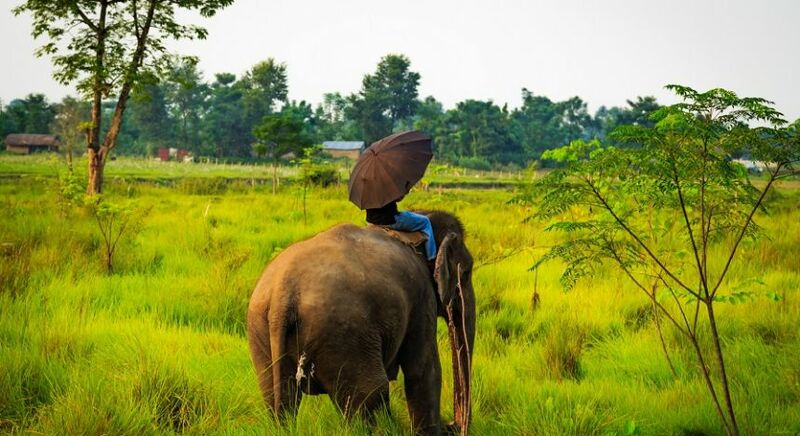 You’re in Nepal’s Chitwan National Park — one of the few places on earth where you can spot both these rare animals. 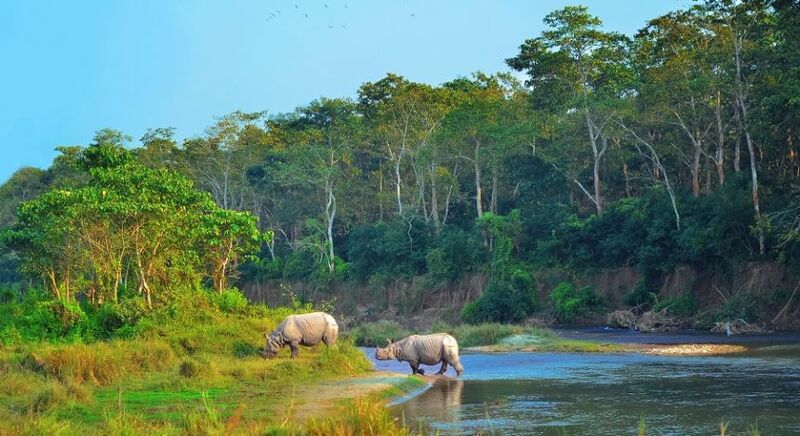 Apart from these two, Chitwan’s Big Five include the leopard, the Asian elephant, and the Himalayan sloth bear. You can also explore the park on an elephant safari or ask your naturalist guide to arrange a jungle walk. 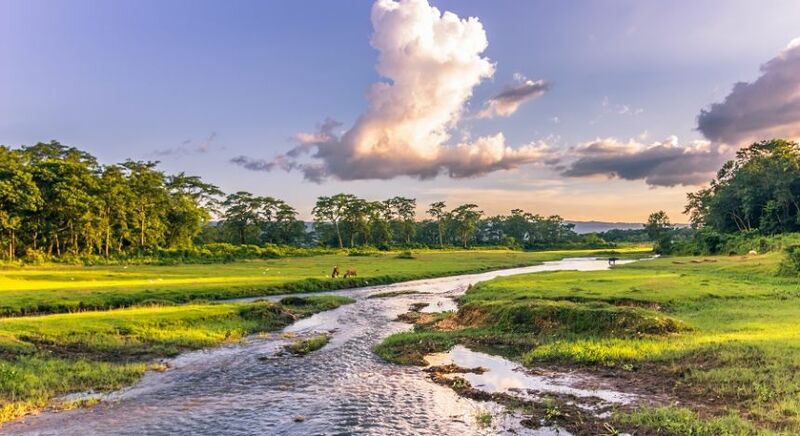 Nepal’s Chitwan National Park is one of the few places on earth where you can spot both the Royal Bengal Tiger and the one-horned rhinoceros. At around 3 pm, head to the Narayani river at the edge of the park where the mahouts of the working elephants of Chitwan bathe them daily. Sit on elephant back and get sprayed well and proper by the animal. If you’re particularly adventurous, a canoe ride in the Rapti river may be just the thing for you. Sunsets, as seen from the river, are glorious. You will spot snouted ghariyal squatting on the river bank, their mouths open in wait of prey. The river is also a wintering ground for migratory birds like Brahminy duck, cormorants, small egret, black and white-necked stork, pied kingfisher, hornbill, and peacock. 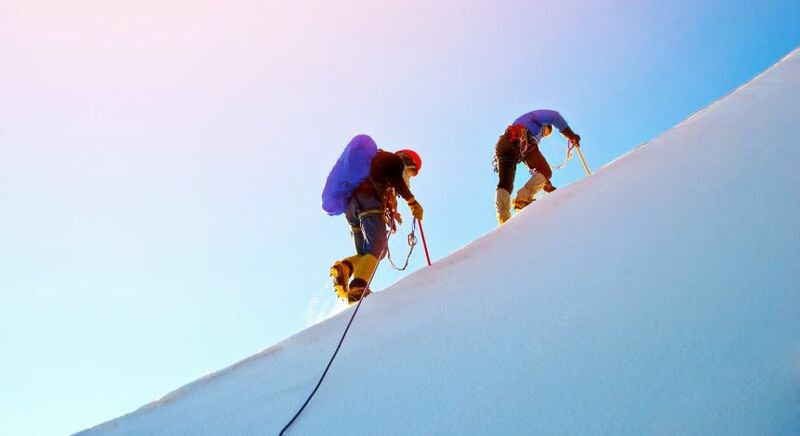 George Mallory, an English mountaineer who tried to scale the Everest in the early 1920s, when asked why he wanted to climb it, had famously said, “Because it’s there.” Among 14 eight-thousanders (peaks over 8,000m) around the world, Nepal boasts eight. With all these mountains just “there” waiting to be scaled, how can you not go trekking in Nepal? Pokhara, with its crystal clear lakes, turbulent rivers, deep gorges, and picturesque valleys, is increasingly becoming a preferred base for trekkers. 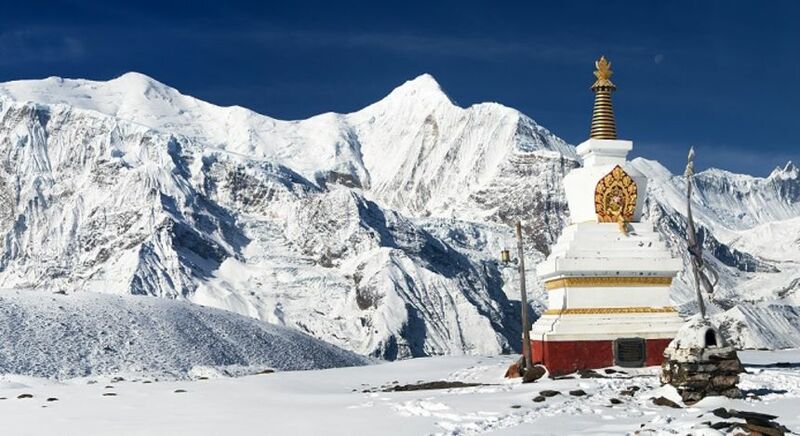 One of the most popular long treks (21 days) is the Annapurna trek, which takes you along the edge of the Tibetan Plateau and through the Thorung La Pass (5,400 meters). Pokhara, with its crystal clear lakes, turbulent rivers, deep gorges, and picturesque valleys, is increasingly becoming a preferred base for trekkers. 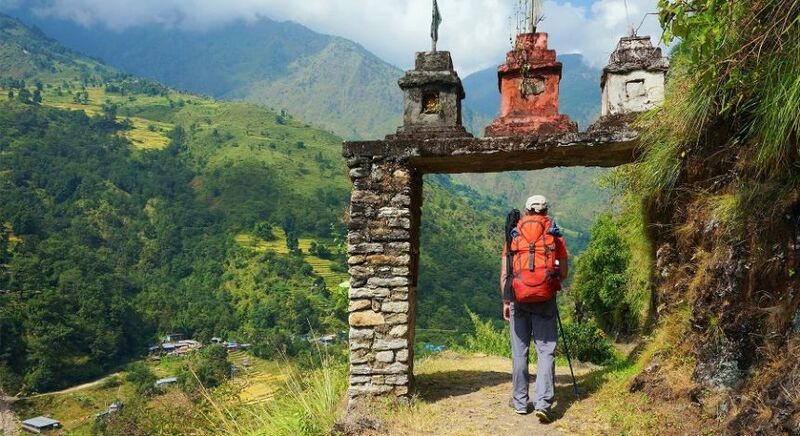 If you’re not feeling adventurous, follow in the footsteps of Prince Charles and do the easy Royal Trek, stopping at quaint Gurung hamlets for glimpses of life in rural Nepal. A popular two-night, three-day trek from here goes via Pothana, Landruk, Ghandruk, and Nayapul before ending at Pokhara. On Day one, take a village trail that leads up to Deorali pass and then traces the mountainside before descending through forests to the charming village of Landruk. 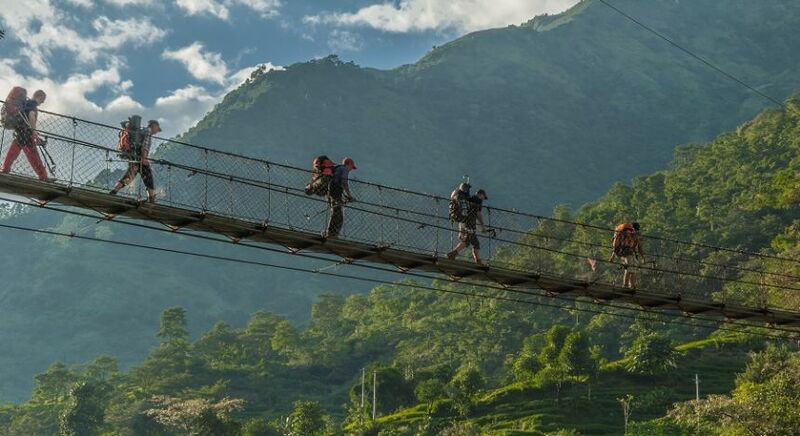 On Day 2, walk all the way down the valley to reach the Modi Khola river and them climb up a steep stepped trail ending on the opposite side with great views of the Macchapuchare (Fishtail Peak). On Day 3, a steep descent from Gandruk will take you across streams and then on to the village of Chane and to Syauli Bazaar. You drive back to Pokhara. If you’re not feeling adventurous, follow in the footsteps of Prince Charles and do the easy Royal Trek, stopping at quaint Gurung hamlets for glimpses of life in rural Nepal. Take your pick — culture, mountains or wildlife or maybe all three — and reach out to one of our travel consultants to plan your Nepal holiday. And while you’re in the region, you should pack in a few days in neighboring India as well. Statutory warning: Be prepared for longer-than-usual commutes and delays while traveling by road to some places of interest in Nepal. Understandably, the mammoth task of rebuilding the roads will take some time. But you will have gorgeous views to sweeten the long drives.